Catch some rays on the beautiful shores of the Gulf of Mexico for your next vacation at Sunset Cove Resort and Suites. 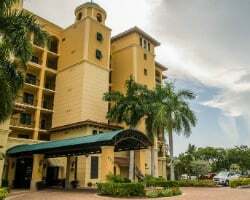 SellMyTimeshareNow.com has a number of timeshare resales and rentals available in our inventory at up to thousands of dollars off the retail price. What’s My Sunset Cove Resort Timeshare Worth? The perfect island getaway is calling you to the breathtaking shores of Marco Island. The gorgeous Sunset Cove Resort is a beautifully-appointed resort featuring modern amenities and necessary accommodations in an atmosphere of upscale island elegance. Wake up every morning to the unrivaled view of the Smokehouse Bay waterway and spend every day within minutes of some of the most pristine beaches and excellent golf courses in all of western Florida. From fine dining to the thriving entertainment and retail district, nobody offers a vacation quite like Sunset Cove Resort Marco Island. Marco Island Sunset Cove offers three-bedroom, two-bathroom units complete with plenty of space and privacy for your entire party to enjoy. Each suite features modern amenities such as a fully-equipped kitchen, washer and dryer, and rustic furnishings in the living room and dining room to create a comfortable atmosphere for optimal relaxation. Whether you’re bringing the whole family on a memorable summer vacation or you and your friends are looking for a great place for some well-deserved bonding time, the Sunset Cove Resort is your best bet for a truly wonderful vacation. Don’t wait to book your next dream vacation today! Fill out the form on the right to get more information, or give our HICV timeshare resale specialists a call at 1-877-815-4227. Purchasing a Sunset Cove Resort timeshare on the resale market will save you thousands of dollars off the price tag, while affording you the same great amenities and accommodations that owners who buy directly from the developer receive. Owners purchase their properties for-sale-by-owner, meaning that you’re transacting with the current owner, and the listing price has been fairly assessed against the current trends of the resale market. That means there are no hidden fees; you could save up to 70% off! Timeshares purchased on the secondary market come in the form of fixed or floating weeks, which owners can use annually or biennially depending on the ownership selected. Floating weeks owners can choose to vacation in a variety of seasons including the Silver, Gold, and Platinum seasons. 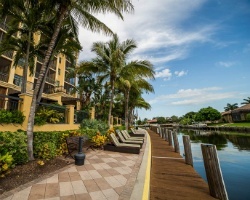 Sunset Cove Marco Island is affiliated with HICV, Orange Lake Resorts, and Hilton Grand Vacation Club. Sunset Cove Resort is affiliated with Holiday Inn Club Vacations (HICV), one of the largest, most-esteemed resort brands in the industry. The program is owned by InterContinental Hotels Group, the largest hotel group in the world, and is known for their quality amenities and family-friendly accommodations. Every HICV property on the secondary market comes equipped with great perks at unbeatable prices. Learn more about Holiday Inn Club Vacations and their timeshare ownership benefits. Sunset Cove Resort owners also have the ability to submit their timeshare week to participate in the RCI timeshare exchange program. RCI, the leading external timeshare exchange company, is available to Sunset Cove Resort owners for an additional membership fee. Owners simply deposit their timeshare week into RCI’s exchange program in order to access to over 5,000 resorts all over the world for a special one-time vacation. 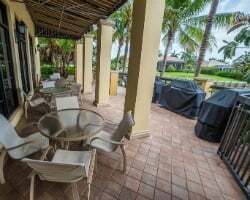 Enjoy the wonderful atmosphere of Marco Island and all the great luxuries that come with Sunset Cove Marco Island timeshare ownership. Cool off with the zero-entry pool, soak up some rays on the sun deck, or unwind your muscles in the resort hot tub. Shuttles are available for you and your loved ones to set off for a fun day on the beach, and there’s also a boat docking area for you to set sail right from the resort. Spend some time toning up in the resort fitness center or borrow bicycles and get some exercise that’s a little more scenic. 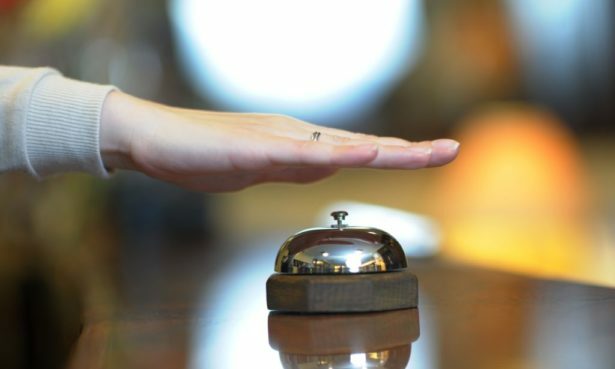 Don’t forget to consult the friendly staff at the concierge desk to give you great recommendations on all the amazing activities and services around the islands. The resort’s key location to Naples provides guests numerous options for wonderful dining and excellent shopping that will surely fill up your itinerary and keep everyone happy throughout your vacation. Already Own at Sunset Cove Resort?